On the morning of January 8th, fifteen members of Kids for Kids Productions, along with a sponsor, two chaperones and a nurse boarded a bus bound for Callicoon, NY, to attend the 2016 NYSTEA (New York State Theater Education Association) Student Conference at the beautiful Villa Roma Resort in the Catskill Mountains. Students spent a three-day weekend attending a variety of workshops, not only for every possible aspect of performance, but there were courses in tech, costuming & make-up, playwriting and more! Some students were also able to attend auditions for various colleges or upcoming summer programs. There was plenty of time for other activities, too! Students went snow-tubing, swimming, rock-climbing, bowling, played billiards and bocce ball! They were entertained by Broadway stars, stand up comedians and showcases put on by the attendees. 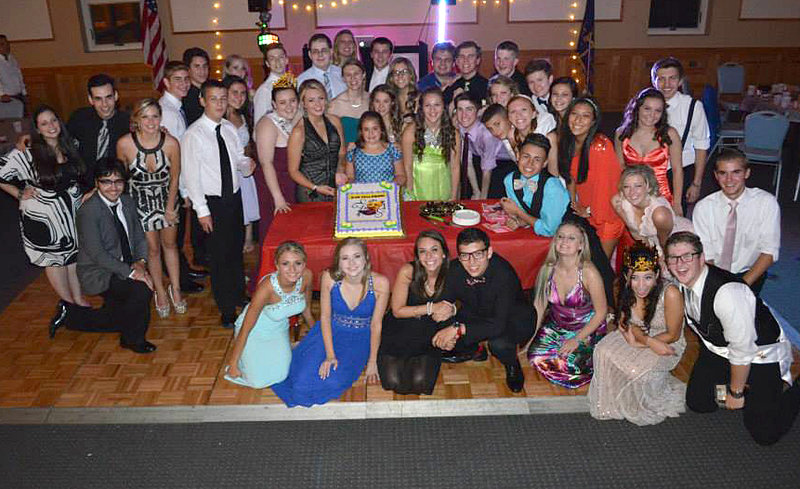 Everyone looked fabulous at the Dinner Dance and Show on Saturday evening! There were pop-up performances all over the hallways and little sleep was had by anyone!! Keep an eye on the website for more photos to come. 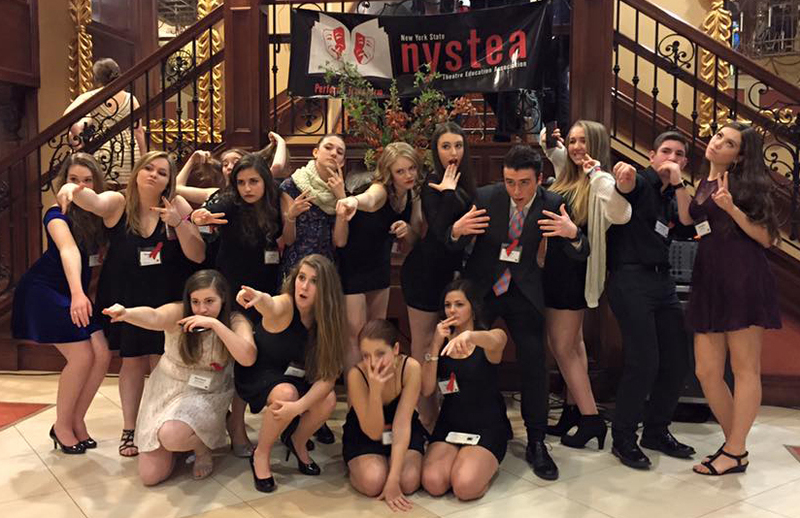 The NYSTEA Conference is open to students in 10th -12th grade. To attend the 2017 Conference with Kids for Kids, you must participate in at least one K4K production during the 2016 calendar year. Registration will begin in November for the January event, so keep your calendars open! CONGRATULATIONS TO BOTH CAMP ROCK CASTS! It was a weekend filled with great performances by both casts! There was tons of talent, energy and standing ovations for the casts and crew of Disney's Camp Rock. Thank you to all who had a hand in this awesome production! 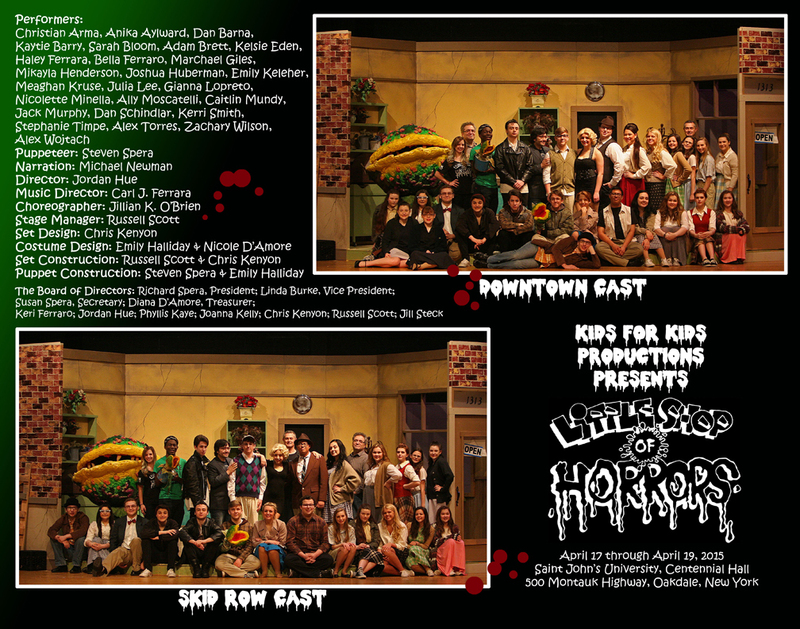 CONGRATULATIONS TO BOTH LITTLE SHOP OF HORRORS CASTS! Great shows were put on by both casts! Check out more photos by clicking on the links in our Photo Gallery. 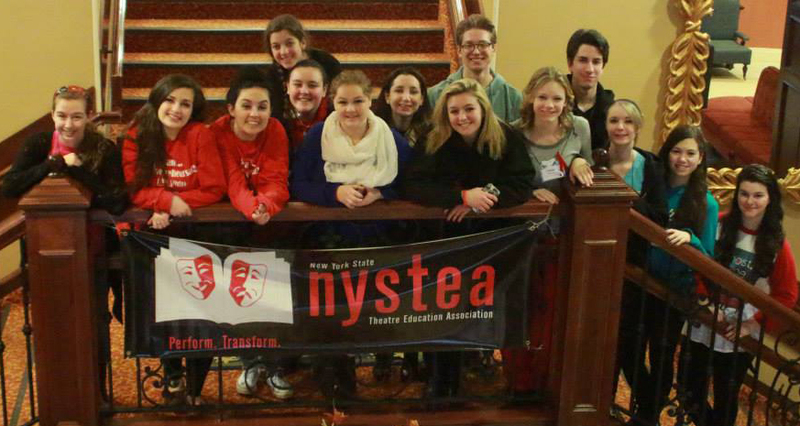 On the morning of January 9th, fourteen members of Kids for Kids Productions, along with three chaperones, braved icy roads and boarded a bus bound for Callicoon, NY, to attend the 2015 NYSTEA (New York State Theater Education Association) Student Conference at the beautiful Villa Roma Resort in the Catskill Mountains. They were entertained at the Welcoming Ceremony by the amazing Seth Rudesky (Sirius/XM Satellite Radio’s ‘On Broadway’) and everyone looked fabulous at the Dinner Dance and Show on Saturday evening! There were pop-up performances all over the hallways and little sleep was had by anyone!! The NYSTEA Conference is open to students in 10th -12th grade. To attend the 2016 Conference with Kids for Kids, you must participate in at least one K4K production during the 2015 calendar year. Registration will begin in November for the January event, so keep your calendars open! 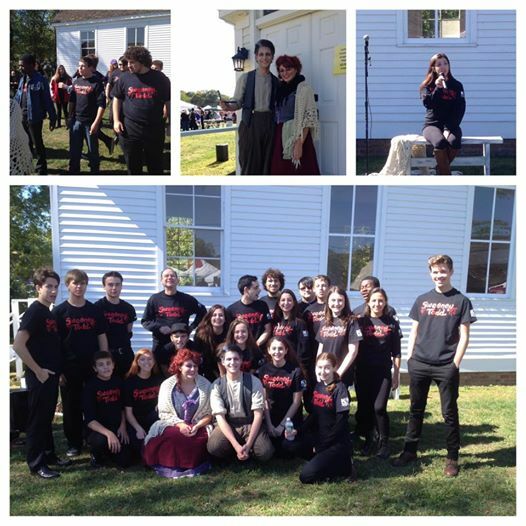 Thank you to everyone that stopped by the Sayville Apple Festival on Sunday, October 5th to see us do a special performance of Sweeney Todd! July 17, 2014 was our first ever Kids for Kids Prom! A big THANK YOU to the Kids for Kids Board for putting together a great night! A fantastic time was had by all. Click here to see photos of a fabulous night of food, fun and friends! Congratulations to our graduating seniors. 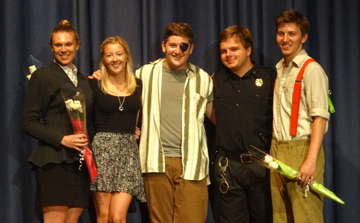 Left to Right: Jen Coffin, Nicole Power, Matt Healey, Danny Saulle and Brandon Walters. Wherever your journeys may take you, we at K4K hope you will remember your times here with joy! We wish you luck on the next phase of you life.